I am not merely on one "tribal" side or another. I Transcend all — and I Include all. My Divine Avataric Revelation-Teaching is Offered to everyone — as Universal and Unique Wisdom That Cuts Through the limitations in everyone, without selectivity. I cannot be compartmentalized as a Westerner, or as an Easterner, or as a Hindu, or as a non-Hindu, or as a Buddhist, or as a non-Buddhist, or as a Christian, or as a non-Christian, or as a "whatever". I Am the Divine Avatar — Transcending both East and West. I Am the Truth of Reality Itself. I Stand Prior to all-and-All — and I Transcend all-and-All. Avatar Adi Da's entire human lifetime was a unique demonstration of His Eternal Form — the State He calls the "Bright", the Conscious Light that is Reality Itself. From His birth on November 3, 1939 on Long Island in New York, to His passing from the body on November 27, 2008, at the Island of Naitauba, Fiji, His Life is the story of the Intervention of the "Bright" in human time. 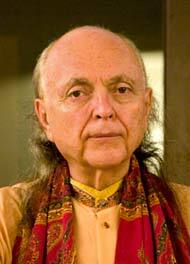 The fruits of Avatar Adi Da's Lifetime are the establishment of a new and unique possibility for the transformation of all beings and the world itself. His Eternal Revelation is of the Divine Reality, which is always Shining — like the sun — as the Prior Condition of every one and every thing. At every moment, and for all time, the Divine Avatar's purpose is to Awaken humanity to the unspeakable, mysterious Freedom and Bliss of the "Bright" Divine Reality, and so transform the future for all. To those who respond to Him, He offers an unparalleled opportunity to know the Truth of existence, beyond usual beliefs. His Presence can dissolve the suffering of everyday experience. He can obviate the universal addiction to the idea that "I am a separate being." The practice that He gives establishes the fullest level of human maturity. And His offering leads, ultimately, to Divine Enlightenment and the Outshining of all limitations in the "Bright" Conscious Light that is Reality Itself. The ordinary means only console you and distract you within the dream. I Myself, the One Who would Awaken you, am not a person, not an individual within the dream. I Am your Very Consciousness. I Am Reality Itself, the Divine Conscious Light, the True Waking State, the True Divine Heart — Breaking Through the force of dreaming. It is not that you are some poor person who needs some other poor person to help you out. It may appear to be so within the dream — but, in Reality, I Am your own True Self-Nature Appearing within the dream to Awaken you. I Am your Awakening, and your Always Already Conscious State.